A couple of days ago, Miss C turned 4! Hooray! As you can tell by the title of this post, I am relieved that I no longer have three year olds in my house. Whenever people say that the twos are “terrible,” I heartedly disagree. For you see, the threes are where the “terrible” parts truly start. In their twos they might get warmed up but once they hit their threes they are running at full speed. At least this has been the case for my two girls. 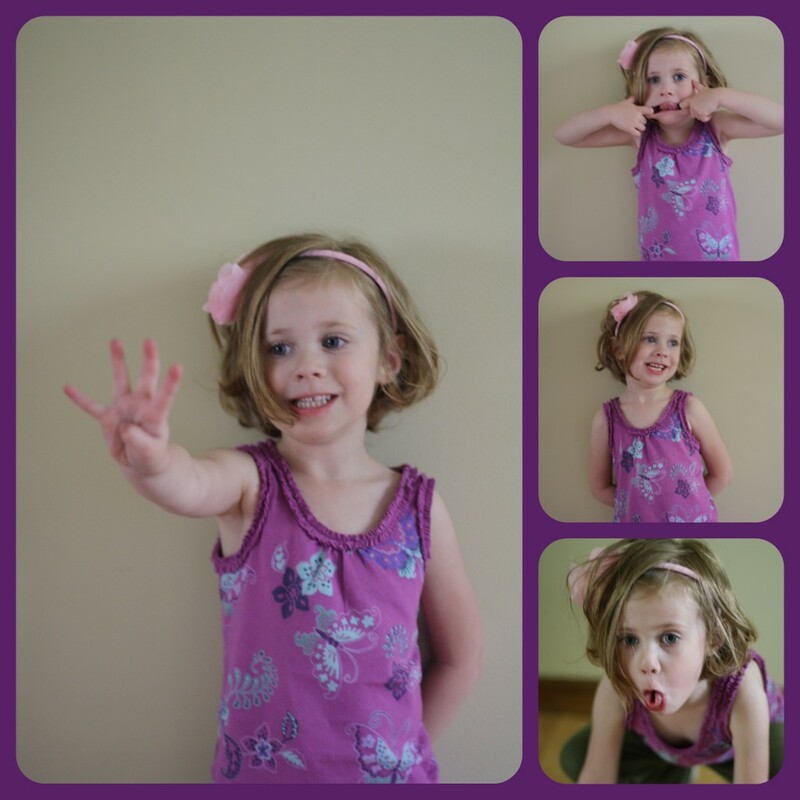 So yes, it is good to be FOUR! In order to celebrate C and her birthday, I asked her some questions like I have done with her sister on her birthdays. I have delayed doing this for C until she got old enough. Well, I think four was as good a point as any to start! Mommy: What is your favorite color? Mommy: Who is your boyfriend? Mommy: What is your favorite food? Mommy: What is your favorite thing to play with? Mommy: What do you want to be when you grow up? Mommy: What do you like to play with at school? C: Food Ice Cream – not the real one! Mommy: What do you like about being 4? C: Being a big girl! Mommy: What don’t you like to eat? Mommy: What don’t you like? Mommy: What do you like to play with your sister? C: Play in her bedroom.